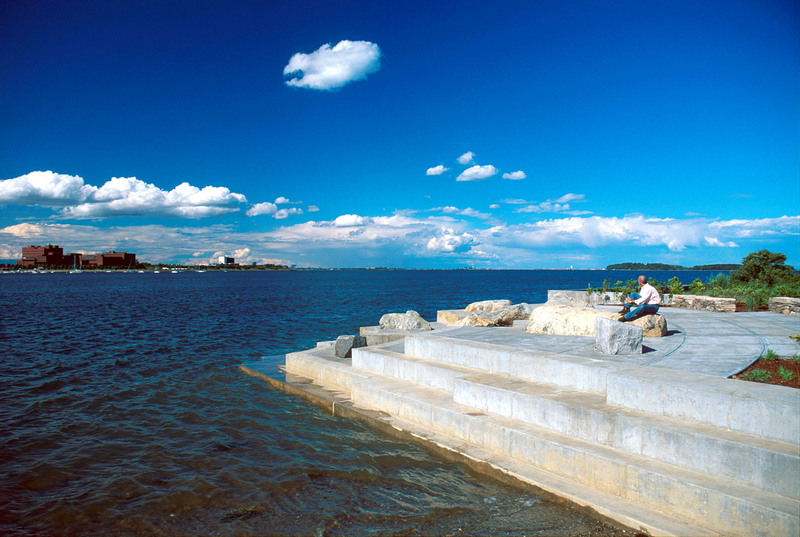 CRJA-IBI Group prepared a master plan for Squantum Point Park, as well as oversaw the design and implementation of the 4.5-acre Phase I Improvements Plan. 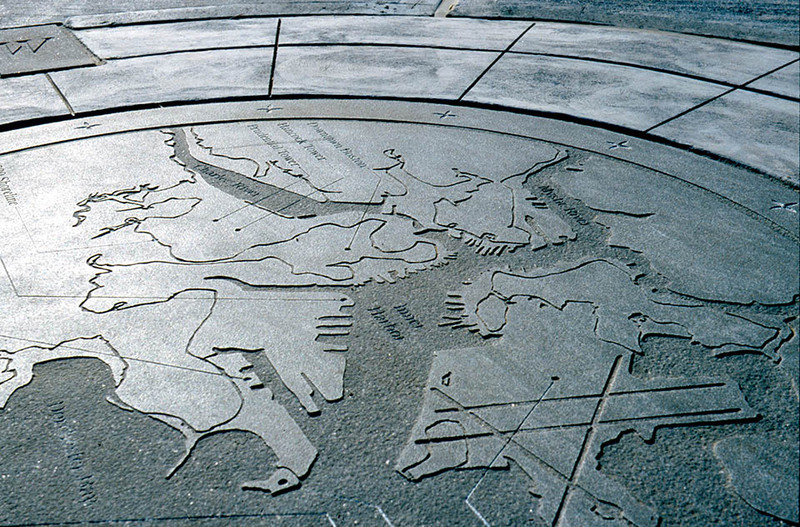 The entire Park occupies a 43-acre parcel along Boston Harbor that was formerly the site of a military airport, an early American settlement, a Native American settlement and the Harvard Aviation Field, used for the first Harvard-Boston Aviation Meets from 1910-1917. The airfield was closed down in the 1950s and since the 1980s parts of the area have been turned into a new urbanist residential neighborhood. 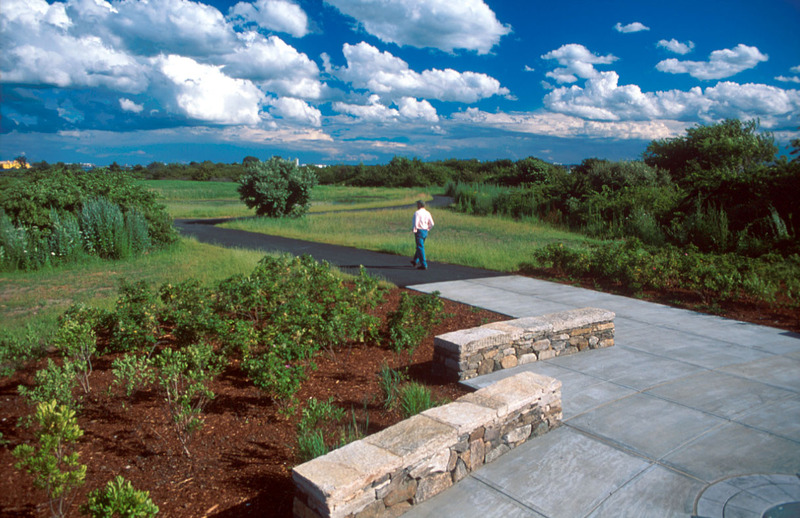 The master plan uses a system of pathways, interpretive elements, and signage to feature the site’s rich history while maintaining existing bird habitats. 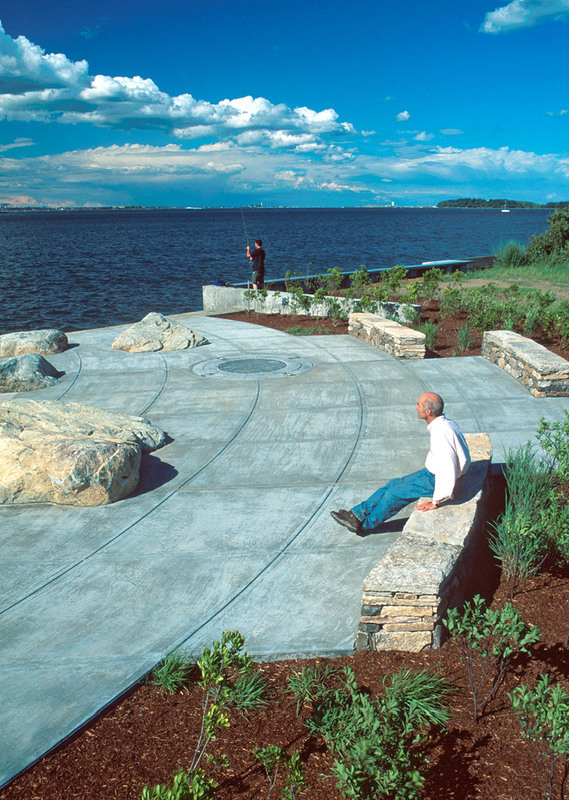 Park facilities include a boat launch, parking, soccer field, and pedestrian esplanades that enhance public access to the waterfront. Improvements to an existing pier will accommodate Universal Access, and will allow for marine connections to the Boston Harbor Islands and other points of interest. Working with waterfront engineers, CRJA-IBI Group developed solutions for shoreline stabilization and salt-marsh wetland replication using sustainable methods such as bioengineering, wherever feasible. 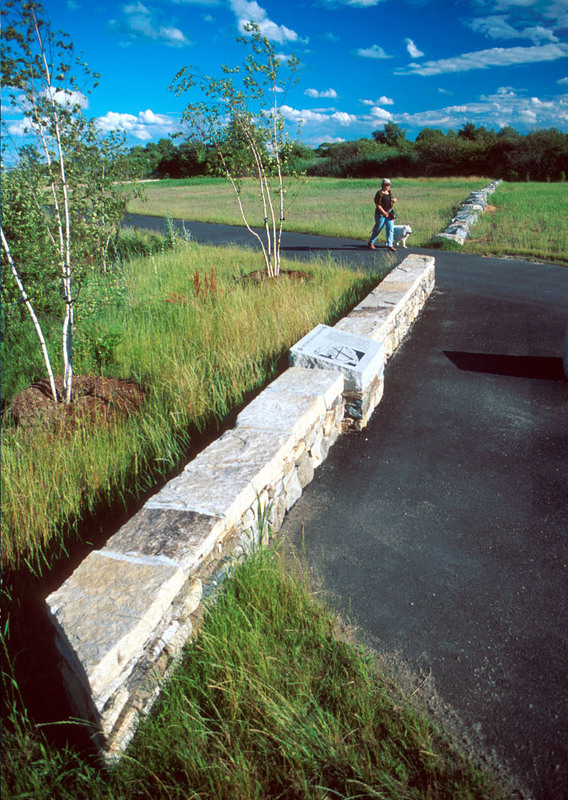 Phase I paths outline one of the runways and historical and environmental markers located along the Phase I primary pathway, called the “flight path,” inform visitors about the site’s history and ecology. Accordingly, all new park facilities are designed to enhance the site’s wetlands and natural wildlife habitat. 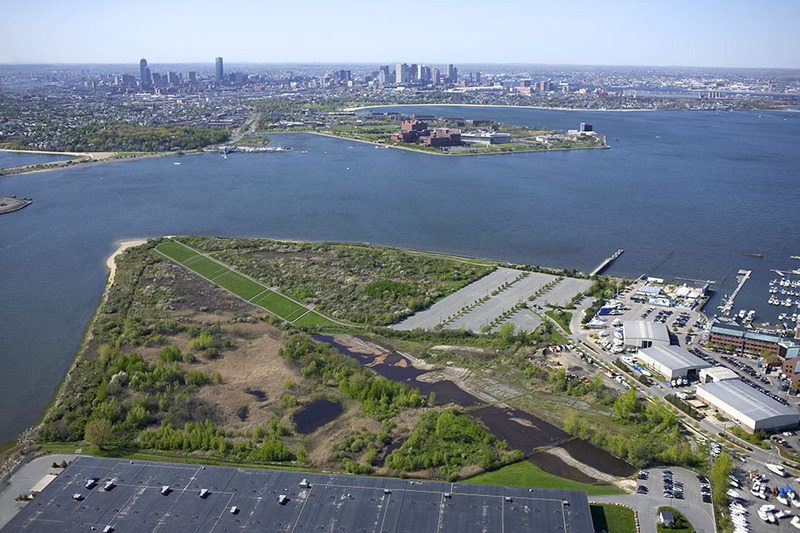 A look-out point was constructed at the northernmost tip of the site to take in views of Dorchester Bay, Logan Airport, the Neponset River Estuary, and the downtown Boston skyline. CRJA-IBI Group also worked with the community on an extensive consensus building effort.